PACS Mission is to create and maintain a customer oriented effort in product/services procurement, and contracting services, that supports the University of Arizona Mission, and to provide for the responsive, efficient and timely acquisition of quality products and services at a prudent cost. Vendor Workshop Wednesday, May 1, 2019. Click here for details. New process for Purchasing from Costco. Click here for detailed information. Conflict of Interest Annual Reminder.See attached for a coordinated message from PACS and the Conflict of Interest Program. Is it time to replace your outdated office printer? Click here for details on how PACS can help with a free printer!. As part of an effort to increase the amount of business the University of Arizona does with small businesses, the Small Business Utilization Program promotes awards of contracts to small businesses whenever possible. This office serves as a liaison between vendors, University departments, and Procurement and Contracting Services personnel. In addition, contracting and networking opportunities with outside agencies and corporations are provided through this program. Follow the link above for more information. 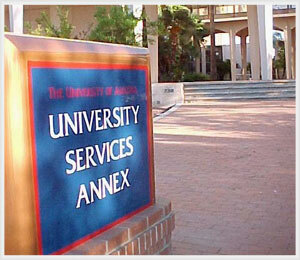 Comprehensive records management program for the University of Arizona and its departments.